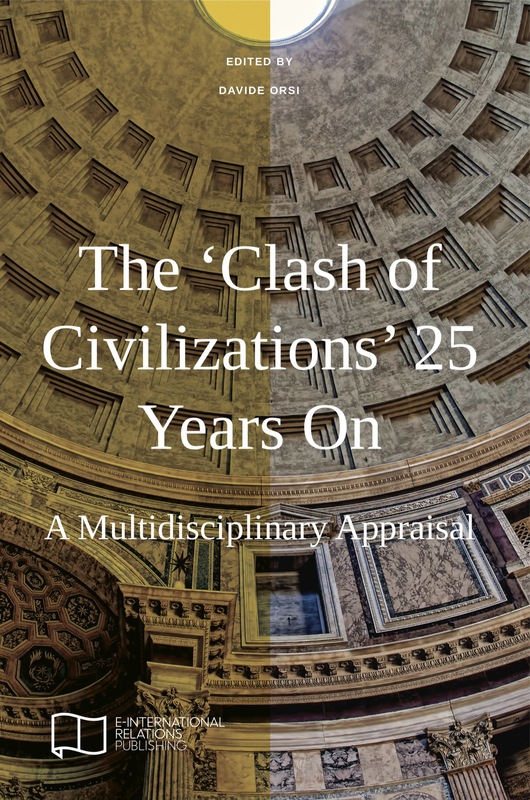 The purpose of this collection is to present Samuel P. Huntington’s ‘Clash of Civilizations’ thesis, and to appraise its validity and shortcomings 25 years after the publication of his landmark article. The notion of a ‘clash of civilizations’ is examined from a multidisciplinary perspective. First, the volume examines Huntington’s contribution from a theoretical perspective, focusing on his ideas about politics and the concept of civilization. Second, the individual articles also consider Huntington’s thesis in the light of recent events, including the conflict in Ukraine, the rise of ISIS, China–India relations, the electoral success of far-right movements in Europe, the refugee crisis in the Mediterranean and the activity of the International Criminal Court in Africa. In sum, this book offers a vibrant and multifaceted conversation among established and emerging scholars on one of the most important paradigms for the understanding of international politics. Contributors: Ravi Dutt Bajpai, Gregorio Bettiza, Glen M.E. Duerr, Ian Hall, Jeffrey Haynes, Anna Khakee, Jan Lüdert, Kim Richard Nossal, Fabio Petito, Erik Ringmar, Anna Tiido, Wouter Werner and Ana Isabel Xavier.